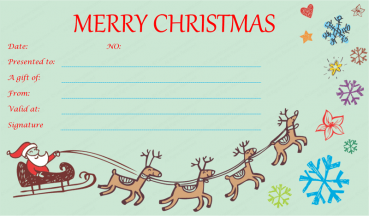 Christmas and all of its brightly colored and festive traditions are right around the corner. 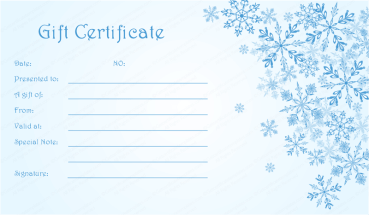 If you have yet to purchase your gifts, and feel a little behind, then our Christmas Gift Certificate Templates are for you. 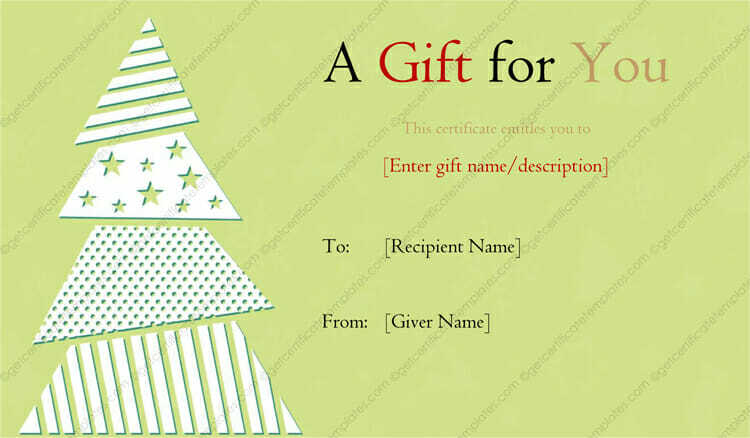 These templates are designed to make Christmas gift giving a snap and hassle free. 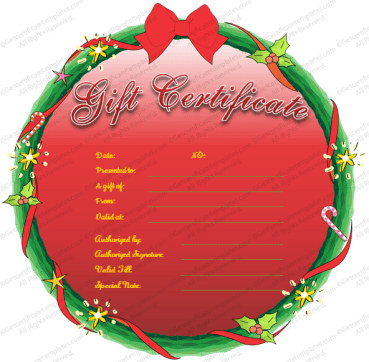 This Christmas Gift Certificate Template sports a rather quaint and elegant design. The background is a mellow Christmas mint green. The one side has the image of a simply constructed Christmas tree, with each one of its layers a different pattern. 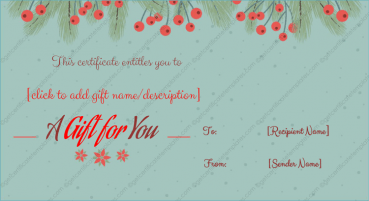 This Christmas Gift Certificate Template, like all our Christmas templates, is fully customizable. 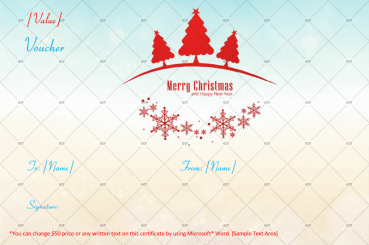 All you need to do is to download the image, and insert the text via Microsoft Word, then print. 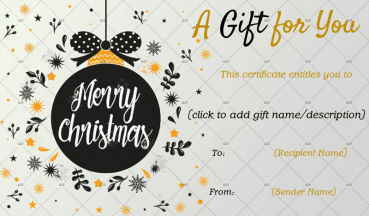 As for the text to insert? You may choose whatever you like. 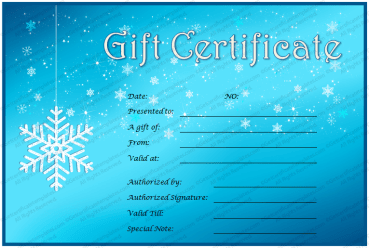 All in all, this is the season for giving and love, and therefore, the Christmas Gift Certificate is a most perfect fit for that special someone on your gift giving list.